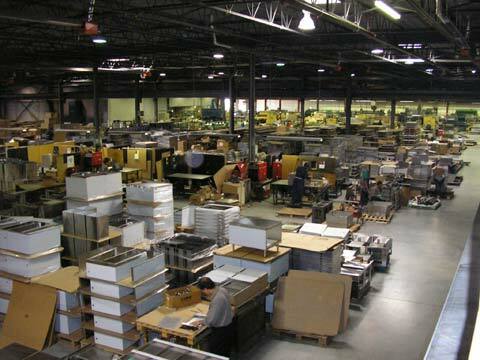 QMF has its 110,000 square foot metal fabrication facility strategically located near major highways, airports, and rail services in the Greater Toronto area. 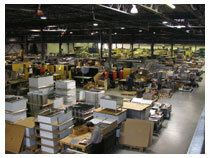 The QMF factory is a state of the art facility that can provide any task required for our customers needs. QMF prides itself on providing the quality, ability, and service to it's customers. Our metal fabrication factory includes such equipment that can cater to welding, shearing, punching, silk screening, and custom packaging. Our plant operates 24 hours a day. With over 100 qualified employees, we at QMF consider ourselves large enough to handle any size project, however small enough to adapt to our Customer's individual requirements. To find out further information regarding our services and related equipment, please refer to our services section.